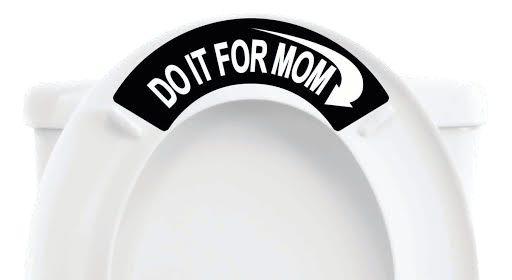 Toilet Tweets® is our fun new product line with a catchy twist---slogans! 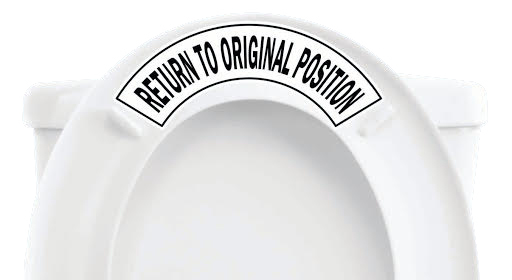 Unlike Toilet Tattoos®, these have a low-tack adhesive and are meant to be placed on the underside of your seat, but if you prefer, you could Toilet Tweet® on the underside of the lid too. They are removable, and reusable and they definitely wipe clean! Each fun design comes with a catchy phrase the man in your house can read each time he gets down to business. And with 12, one-size-fits-all designs, you'll have plenty of unique ways to be sweet and "say it on a seat™! to put the lid down!